The early season positive momentum continues for Ron Quesnelle, as he scored his third consecutive top-six finish to start off the 2018 campaign at Sunset Speedway. With the Sunset Speedway Late Models running a 60-lap main event instead of twin 35-lap features, they’d run a single heat to help set the starting line-up. Despite being involved in an incident on Lap 2 of his heat, Quesnelle rebounded for a fifth-place finish. Come feature time, he would be battling for position up front early, battling side-by-side with Paul Maltese for fourth at Lap 7. The pair would battle until the first caution at Lap 10 for a driver having a flat tire further up ahead. Quesnelle would find himself sixth after the restart, until he was able to get alongside Maltese for fifth at Lap 23. The pair would battle through until the halfway mark, with Quesnelle falling back to seventh. He would fall another spot a couple laps later, but would begin his rebound to the front, battling once again with Maltese, this time for sixth at Lap 43. He would get the spot six laps later, remaining there until a pair of cars got together ahead, bringing out the caution and bumping him up a spot. Restarting fifth, he would battle to the checkered flag for the position, finishing sixth. As noted, it marks KDR Motorsports’ third consecutive top-six following a sixth and a third. 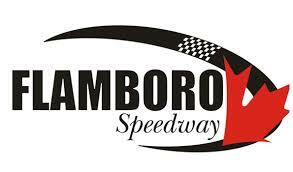 The team will look to continue the momentum on the next night of points’ racing at Sunset Speedway, which will be Saturday, May 26.